the Hon. Minster Sibal and Indian delegates to WelTec. The Second Life Education New Zealand Project may have been concluded but things are still happening on the Second Life island of Kowhai where the Foundation (Bridging) Learning and Birth Centre builds are sited. SLENZ lead educator Merle Lemon, (SL: Briarmelle Quintessa), of the Manukau Institute of Technology, and other lecturers are continuing to use the Foundation Learning build for normal real life classes in interview preparation, practise and assessment as part of that school’s Foundation Learning programme. And the lead educator for the Midwifery Studies pilot programme run by Otago Polytechnic, Sarah Stewart (SL: Petal Stransky) has fielded a number of enquiries from British and US academic institutions interested in making use of the Birth Unit build as well as the knowledge gained from teaching in it. At the same time more than 50 free-to-the-public, full permission Foundation Learning builds and more than 15 Midwifery Studies’ Birth Unit builds, created by SLENZ Project Lead Developer Aaron Griffiths (SL: Isa Goodman), have been picked up from the Kowhai Island welcome area. Goodman has also begun a series of tutorials and advice on the builds here and the first of series of articles looking at scripting of the builds here. and India who attended the Indian Minister’s WelTec SL “viewing”. 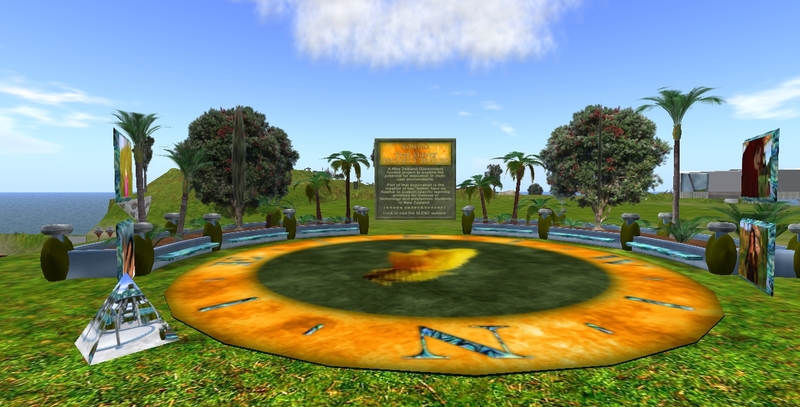 Meanwhile on the neighbouring island of Koru, also run by Nelson Marlborough Institute of Technology, SLENZ developer and Wellington Institute of Technology (WelTec) lecturer Todd Cochrane (SL: Toddles Lightworker) hosted a Second Life ‘viewing’ by India’s Hon. 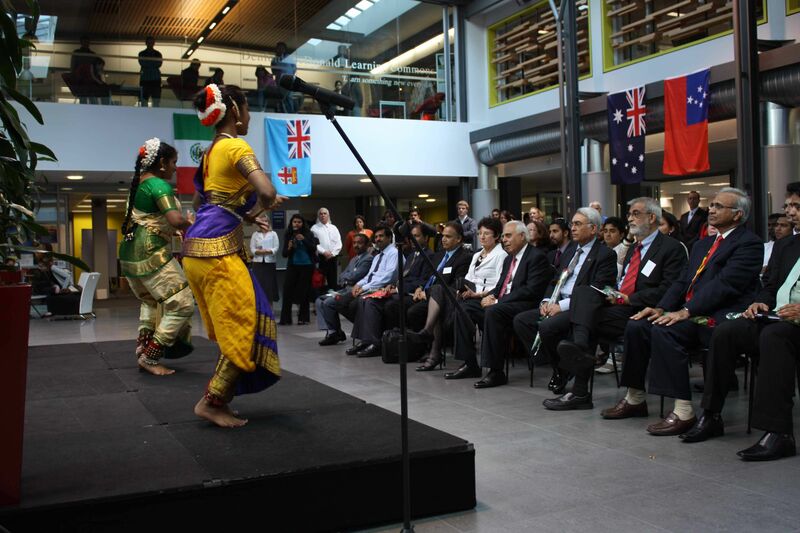 Shri Kapil Sibal, Minister of Human Resources Development (India’s equivalent of the NZ Minister of Education) during a visit to the Wellington Institution. The Minister’s viewing – he asked a question about accessing Second Life from India as there were India-based researchers present in Second Life – came as part of discussions on collaboration with New Zealand in the area of vocational training and technology. Cochrane has a special interest in the use of virtual worlds for vocational training and technology. The meeting was also attended by Arwenna Stardust (RL: SLENZ Project joint leader, Dr Clare Atkins). During his visit to WelTec the minister spoke about India’s immense demand for education and training with a population of more than 546 million under the age of 25. WelTec CEO Dr Linda Sissons said, “India and New Zealand share a special relationship in the fields of vocational education, applied research and innovation … both face unprecedented social and economic challenges and also have tremendous opportunities in co-operation, especially in the technical and vocational education and training sector. The New Zealand government has also recently reaffirmed its commitment to an international relationship with India. and both nations confirmed their commitment to deepening education cooperation with the resigning of an Education Cooperation Arrangement, which was first signed in 2005. JudyArx Scribe (RL: Judy Cockeram, of the University of Auckland’s School of Architecture). The Foundation Learning build, now available FREE, under CC license. 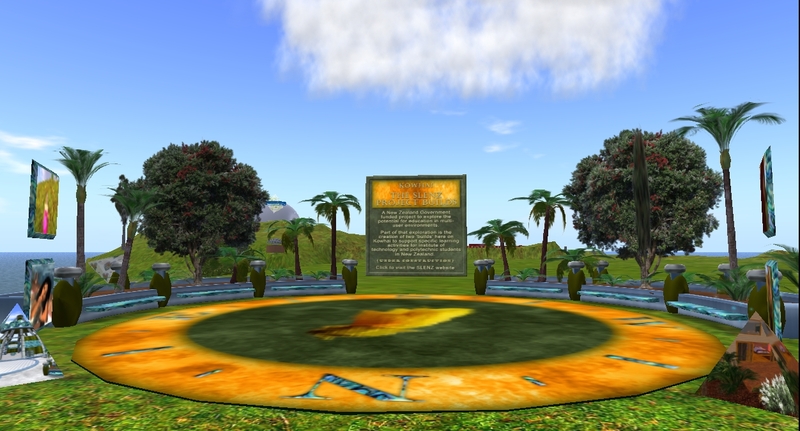 The SLENZ Project’s much-praised Second Life Foundation (Bridging) Learning Build (Version 1.0) is now available FREE, under a Creative Commons Attribution-Share Alike license, from the Second Life island of Kowhai. The key section of the SLENZ Project’s Second Life Midwifery Education Birth Unit build is also to be made available shortly. The announcement of the availability of the Foundation Learning Build was made today by the SLENZ Project’s Lead Developer Aaron Griffiths (SL: Isa Goodman) on a newly setup blog, The SLENZ Project Technical Blog, where Griffiths plans to discuss the ongoing development of the two builds following completion of the SLENZ Project. The build, which has been made available for pickup, includes textures, animations and scripts for the Skill Mastery Hyperdome with all rezzable scenes (including the Stairway of Learning) and the private interview room teleporters. All build items are full permissions except for a few clothing items, some hair provided for the Hyperdome shop, and a few seating animations. “The build items are provided inside a 60 x 80 metre megaprim base (SLENZ Foundation Studies Rez Base) and can be rezzed from this base once it is positioned.” Griffiths said. The SLENZ Hyperdome, a holodeck, contains a number of rezzable scenes designed to help students learn and practise interview techniques as well as prepare for real life job or tertiary study interviews. The Stairway of Learning is a dual staircase surrounding the Hyperdome and is designed to deliver learning information about interview preparation. 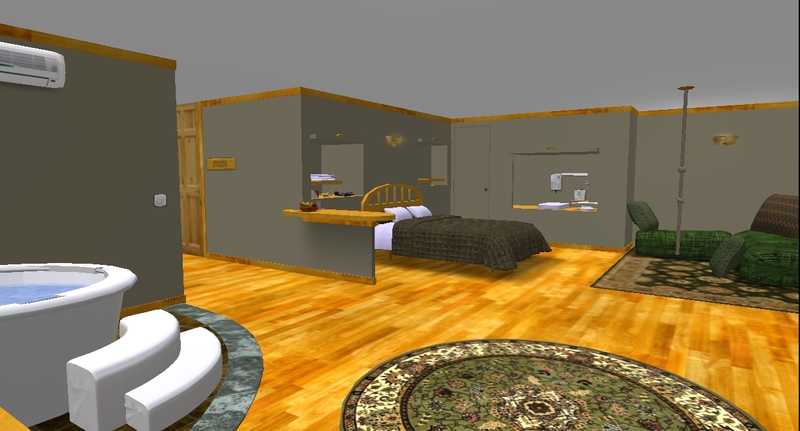 The “private interview room” teleporters, placed near the front of the Hyperdome, allow individual, supervisor-configurable, interview rooms to be rezzed on demand for students to practice in. The SLENZ Project which ran for 18 months was financed by the Tertiary Education Commission of New Zealand. 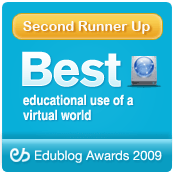 It was designed to determine whether there were any benefits from using Virtual Worlds for education and to establish how those benefits could be harnessed. The SLENZ Project team … final face-to-face meeting and debriefing. The SLENZ Project team celebrated its successes last week at a real life face-to-face meeting in Wellington, New Zealand. The meeting, which included a warts-and-all debriefing of all team members, was marked by an unanimity of views on project outcomes in a team which has occasionally been rift by differences of nuance and interpretation over the 16 months of its scheduled 18-month life span. 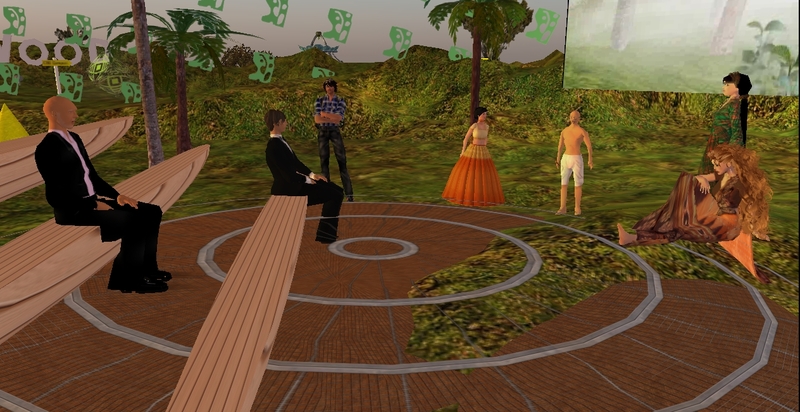 The NZ$500,000 Second Life/Real Life project, which was funded by the Tertiary Education Commission of New Zealand, has been designed to determine whether and how multi-user virtual environments (MUVEs) can benefit New Zealand education and, and if they are of benefit, how the benefits can best be harvested. Despite the fact the formal evaluation has not been completed team members appeared in no doubt that most, if not all, of the objectives of the three pilot programmes – Midwifery, Foundation (Bridging) Learning and Orientation – had been met. The lead evaluator, Michael Winter (pictured right), of CORE Education, who attended the meeting – although not pre-empting his formal evaluation, due before year end – seemed upbeat about the project and said he had been impressed with communication skills displayed by the team. .
“I was really impressed with the level of communication and the way people were working together,” he said. “It was a pretty tight ship in terms of communication. He added, however, that the project might have been somewhat hindered by a number of technical issues, including bandwidth (Ed note: Possibly perculiar to New Zealand); institutional technology and firewall issues. He added that there had been some resistance to what was perceived as “gaming” by some students; and that there was a necessity for designing the e-learning experiences properly to increase engagement. He also cautioned about an underlying concern about the “sleezier side of Second Life” which the press has focused on. Summing up her feelings about the project, joint project leader Dr Clare Atkins said, she was “incredibly proud of what we have done. “I’ve learned some amazing lessons how not to do many things,” she said to laughter. 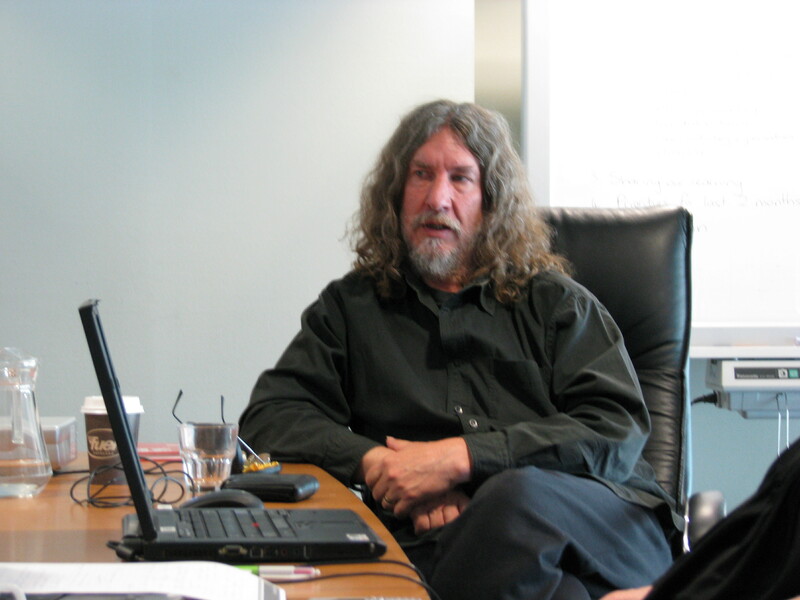 Despite the barriers to adoption of MUVEs for education in New Zealand, Atkins said, she now “absolutely believed” that “the use of these types of environments and kinds of education are going to change the way everyone teaches, how they teach and the way we think about teaching within 20 years. In the debriefing team members agreed the staged approach to the SLENZ Project had been one of the major keys to the success of the project. Other things that had worked well had included the regular team meetings with voice in Second Life and the face-to-face meetings for getting acquainted and determining agendas for further Project Stages. Communication: Not having a one-stop shop for all documents from the start of the project. This was implemented when problems arose after the project had been launched. Immersion: A lack of pre-project immersion by some tutors, team members. It was felt by some team members that for education to succeed in virtual worlds it is essential that promoters/champions/teachers and tutors be “immersed” in virtual worlds rather than just being “active” before launching into educating students. This was coupled with a the lack of educator release time for immersion in world. Learning Designer: The need for a Learning Designer or Educator to be fully “immersed” so that he/she could specify exactly what was needed based on their own knowledge. Roleplaying Experience: At launch a lack of MUVE roleplaying experience on the part of tutors, preventing them from having a complete understanding of what could and could not be done in a virtual environment. Clarity: More clarity was needed around the setting of pilot objectives/initial learning design specifications and the expected/required outcomes. The use of “immersed” mentors/helpers for new tutors and students. The employment of a professional MUVE builder/scripter rather than attempting to get teachers/tutors up to speed in this area. It was observed that teaching should be left to teachers/facilitators, and building and facility development to MUVE building/scripting professionals. Summing up the consensus feeling and her feelings at the debriefing, Neal said, she thought the team could have done a lot worse, but it could have done a better job too. Team members were all given a Taonga ( treasure) at the end of the session. “Fabulous”, “amazing” and “fantastic” were only three of the superlatives used by the more than 20 educators and researchers who toured the SLENZ Project’s two builds on Kowhai in Second Life and listened to commentary from educators, developers and builders during the virtual worlds’ prestigious, annual Jokaydia Unconference on Sunday. The superlatives were used by virtual visitors from around the world to describe the concepts, designs, the builds and the practises being used in the the SLENZ Project’s two pilot education programmes, Foundation Learning (Bridging Education), under lead educator, Merle Lemon (SL: Briarmelle Quintessa), of Manukau Institute of Technology, Auckland, and Midwifery under lead educator, Sarah Stewart (SL: Petal Stransky), of Otago Polytechnic. The Jokaydia attendees probably would have been even more blown away had they been able to watch the Pooky Media [producer Pooky Amsterdam, director Russell (Rosco) Boyd] machinima production on Foundation Learning, “Foundation Interviewing in Second Life,” which was placed on general release on YouTube later that the day. Arwenna Stardust (RL: Dr Clare Atkins) talks to the Unconference visitors. Inside the Skill Mastery Hyperdome … demonstrating a “catwalk” rezzed. And it obviously is – and eventually, like the Birthing Centre, will become the SLENZ Project’s “gift” to virtual world education, having been created under Creative Commons attribution license in OpenSource. It is scheduled to be made freely available with all bells, whistles, scripts and animations in Second Life on completion of the project. Foundation students who are use the Hyperdrome build are preparing to enter academic and/or training courses as diverse as nursing, teaching, business, police, travel and tourism, IT, engineering, and social work. Foundation Studies provides the basic building blocks and the scaffolding to enable students to enter and succeed in their selected career pathway. Acitivites provided in this build are designed to enhance communication skills, specifically the skills needed in an interview situation. These students can select appropriate interview apparel from Rapungakore (“…you have come to the right place”), the clothing store, which is part of the Hyperdome. Noting that irrespective of their ultimate career goal all students will need to develop interview skills and strategies, Merle Lemon, has pointed out that the hyperdrome environment allows students to experience virtual interviews, to take on the roles of both interviewer and interviewee, and to develop confidence in answering and asking questions in a professional manner. “The opportunity to rehearse variations of the interview scenario will lead to further enlightenment through reflective evaluation and deliberation on their own behaviour in action,” she said. The Manukau Institute of Technology students, whose reactions are canvassed in the video, find that the Second interviews “really feel real” with one student even worrying that he was being interviewed for a “real job” which he couldn’t accept accept because of his student commitments. The SLENZ Project is funded by the New Zealand Government”s Tertiary Education Commission. The Unconference participants tour the birth centre.